When you need to convert emails to TXT, you can do that using our new Total Mail Converter Pro. With this program, you can convert a large group of emails with attached files. As you follow the interface and the wizard, you will be offered a lot of options to deal with attachments. First, they can be placed into the same folder with good names to know which file belongs to which email. Alternatively you can choose to place all attached files into a new folder. Most people prefer to get both emails and attached files converted to TXT. 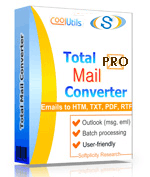 Total Mail Converter Pro is the only program today that can do the job as it requires a very sophisticated conversion engine. 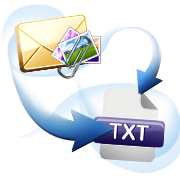 This mail-text converter that has been around for a little while and it has won the hearts of many busy users. People like this converter for its user friendliness and power. The interface is built in such a way as to guide you in the right direction. No training course is required to master this tool. Usually, one attempt is enough. 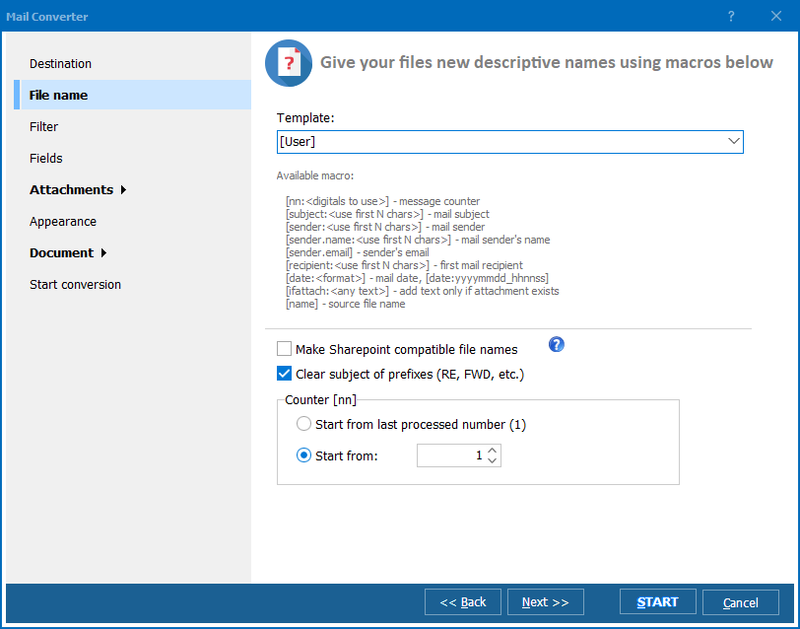 Check the wizard's options, which include destination, file name, fields, attachments, appearance, header, footer, documents and start conversion. You can adjust these parameters according to your individual needs. Select the Destination folder for your TXT files. Navigate the attachments options and decide whether or not you want to convert attachments as well. When you are sure all the parameters are adjusted in the right way, press "Start" or select the "Start conversion" option. 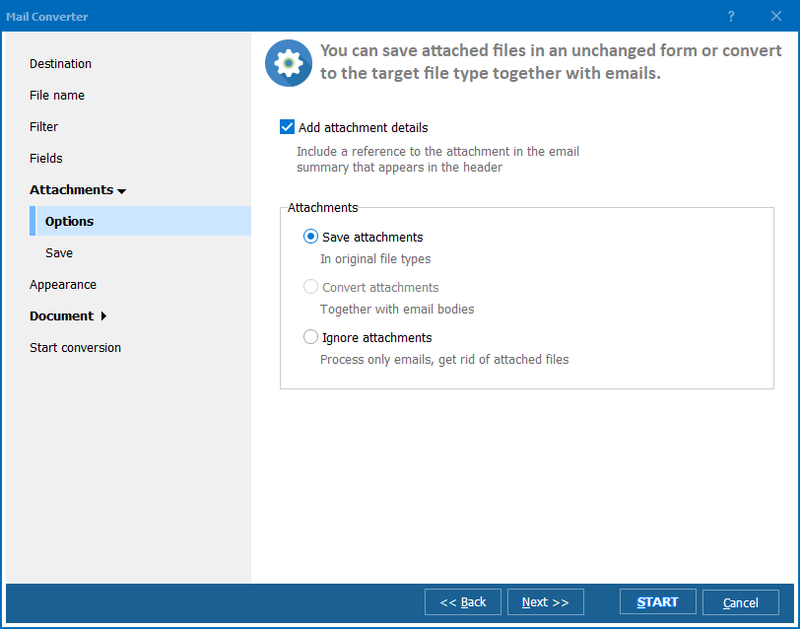 The option enabling you to convert emails with attachments is a new addition. There is a broad palette of attachment options and you are free to choose any one you need. This program is compatible with your operating system and it integrates into the right-click menu. 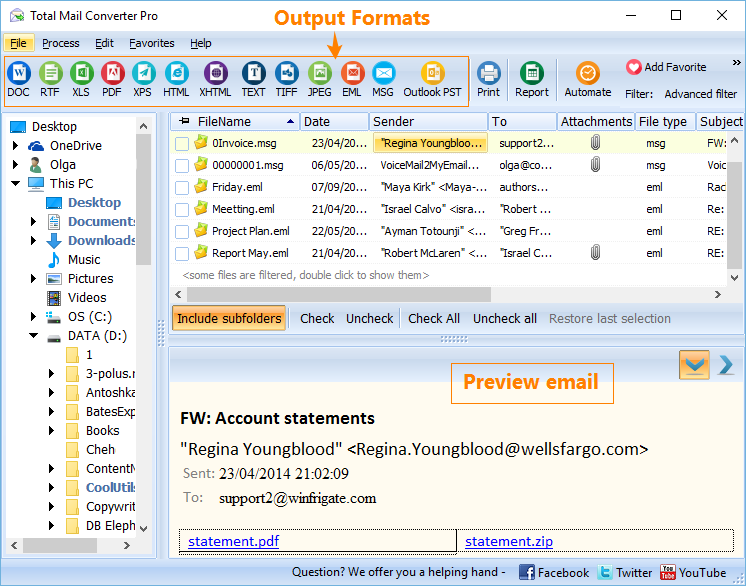 To see this tool in action, you are welcome todownload the free demo version and try to convert Mail to TXT. This version is valid for 30 days only.